Amid the aftershocks of Tuesday’s earthquakes in Virginia and Colorado and with Hurricane Irene expected to hit the southeastern U.S. in the coming days, many Americans are focusing on preparing for the uncertainty that comes with a natural disaster. The National Endowment for Financial Education (NEFE) offers the following tips to ensure that you and your family are financially prepared for a disaster. Everyone knows the safest place in the home to seek shelter, and if needed, each person knows how to shut off the supply to utilities. You have an evacuation drill in place, and that your family has practiced it. If separated, you have identified a meeting location outside the home. You have assembled a kit to care for your pets, including food, water and medication needs. Whether you’re a homeowner or a renter, it’s important to take steps to avoid damage to your property, or at the very least take proactive measures to reduce damage and the economic impact that can be caused by a disaster. Start by evaluating your current living space and take note of any potential problems. In areas exposed to hurricanes—and storms containing high winds—secure your roof to the foundation of your home and board windows before the storm’s landfall. In areas where earthquakes can cause damage, install safety latches on cabinets, bolt bookcases and large furniture to walls, and secure your water heater. If you live in an area that is prone to wildfires, keep your property clear of brush, and assess the exterior of your home. Consider upgrading to fire-resistant siding and other less flammable materials if needed. At a minimum, buy full-replacement insurance. In this case the insurance company will pay to replace the residence up to the coverage amounts specified in the policy. Have your property appraised periodically to ensure that you keep adequate insurance coverage. Have a policy in place that will cover the replacement of your possessions. Depending on where you live, you may want to consider additional insurance coverage that protects in the event of earthquakes, floods, etc. 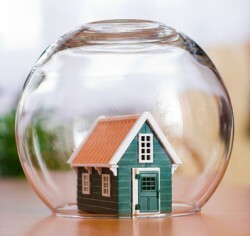 In case of evacuation, contact your insurance company to notify it of your situation. Ask if your provider will pay for temporary living expenses if you are forced away from your home. If this provision is not included with your insurance policy, contact the American Red Cross for crisis shelter locations and information. Important documents should be protected in a safe deposit box at a financial institution—for an annual cost of about $30—or in a safe at home. These papers should be items that are difficult to replace, such as birth, death, and marriage certificates; social security cards; loan paperwork; and insurance policies. If I am unable to get to work following a disaster, will I still be paid, and if so, for how long? Will I be eligible for unemployment insurance? You also may be able to take advantage of the Family and Medical Leave Act if you are unable to return to work in the near future because you are caring for an injured family member. Learn more by visiting the U.S. Department of Labor’s website at www.dol.gov.